The Italian railway industry has developed over the years by producing, in many cases, peaks of excellence at a world level. The sector is represented by Assifer (Associazione dell’Industria Ferroviaria – Italian Railway Industry Association), a member of the ANIE Federation (which represents electrotechnical and electronics companies operating in Italy and is in turn a Confindustria member) and part of UNIFE (Union des Industries Ferroviaires Européennes). 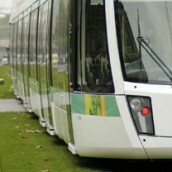 Ten of the thirty driverless metros in the world have been built by Italian companies. 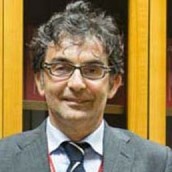 Also the first to adopt ERTMS Level 2 Since 22 May 1843, when Ferdinand II of Borbone issued an edict by which the Pietrarsa Workshops on the outskirts of Naples (now the National Railway Museum), then known as the Reale Opificio (Royal Mill), was appointed to “build locomotives, as well as carry out repairs and meet the needs of the locomotives themselves, the carriage accessories and wagons that will travel along the new Naples-Capua railway line“, the Italian railway industry has made great leaps forward, leading it in many cases to excel on an international scale. The system provides a quick link with the Delhi Metro Gurgaon is a city with a population of approximately 200,000 situated on the south-west outskirts of New Delhi, along the NH8 motorway. It could be called a satellite city of the federal capital of India with which, of course, it has very close social and economic relations. Tens of thousands of people travel to and from the capital every day to get to work. This is one of the main reasons behind the creation, now almost complete, of a metro rail system serving one of the most developed areas, Cyber City, and with a functional connection to the Delhi Metro Yellow Line at Sikanderpur station. Built mainly along the route of the disused Val Seriana railway line, it has quickly established itself as an efficient and highly popular transport system It is now unanimously acclaimed as an example of excellence in the sector of local public transport in Italy. 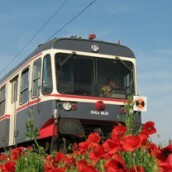 The Bergamo-Albino tramway which was officially opened four years ago, is proof that even in a medium sized city such as Bergamo, rail transport can have a key role in urban mobility. In the case of Bergamo, a city in Lombardy, around fifty kilometres north-east of Milan and home to 130,000 inhabitants, it is even more interesting because to build this line, the first of a larger network, the railbed of a local disused railway line, the ‘Ferrovia della Val Seriana’, was used. The Managing Director of Gruppo FS Italiane tells us what completion of the biggest infrastructure built in Italy since the war means for the Ferrovie Italiane and the country as a whole and gives us a preview of things to come, from the possibility of being quoted on the Stock Exchange, to the new high-speed lines and the Frecciarossa 1000 – “the most beautiful train in the world”. 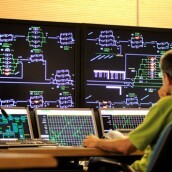 Rete Ferroviaria Italiana is the company of Gruppo FS Italiane that today has total responsibility for constructing, commissioning, operating and maintaining the entire high-speed/high-capacity network. 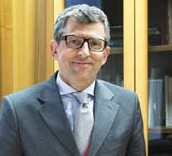 At its helm, since September 2006 when he was appointed CEO, is engineer Mario Michele Elia. 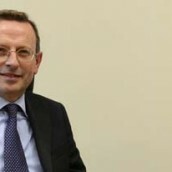 Just like Mauro Moretti, the CEO of the Gruppo FS Italiane, Elia is a ‘career railway man’ and his knowledge of the sector for which he is responsible is unparalleled. The most beautiful train in the world. 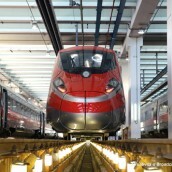 This is how Gruppo FS Italiane introduced the Frecciarossa 1000, the new very high-speed train with a peak design speed of 400 km/h and an operating speed reaching an incredible 360 km/h. 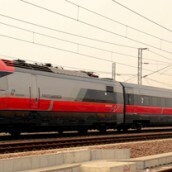 It will enter service at the end of 2014 with the aim of cutting the current journey time from Rome to Milan from 2 hours 55 minutes to just 2 hours 20 minutes. Just a few weeks have gone by since the COP21 conference, organized by the United Nations Framework Convention on Climate Change, came to an end in Paris. The aim was to seal, for the first time after over 20 years of mediation, a binding and global agreement on climate change which, as we can see every day, is getting worse. 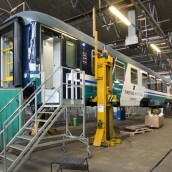 This Trenitalia plant is one of three on a national level which takes care of passenger carriages. All rolling stock comes through here for the periodical overhauling which has to be carried out after hundreds of thousands of kilometres have been covered. The times are changing. 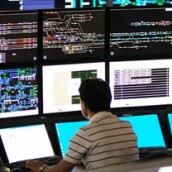 Technology develops day after day and the rail world so the editorial staff of Railway Engineering cannot look out of the window the “landscape” running away. That’s why issue after issue we are going on with our evolution, started at the beginning of this year and that you’ll see clearer from 2016. 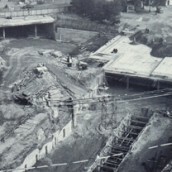 A deep interview to discover the background of the construction of the first automatic Italian metro line in Turin. Discovering the company that valorizes areas and facilities no longer needed for rail transport and puts them on the real estate market. Some 30 million train/km per year, investments for around €500 million, and new companies abroad in the future of Italy’s biggest rail freight company. Dear Readers, here we are again with an issue full of very interesting subjects. 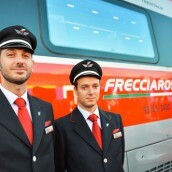 After a deep article about the brand new Frecciarossa 1000 we would like to present you another Trenitalia’s quality service on standard lines: Frecciabianca. 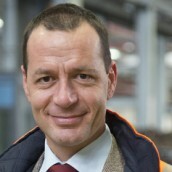 We spoke about it in our “Interview” with Adriano Scapati, Engineer, Trenitalia’s Frecciabianca Brand Manager. 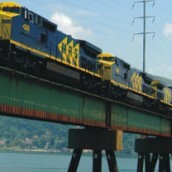 The rail service covers the whole peninsula providing connections to all the main regional cities. 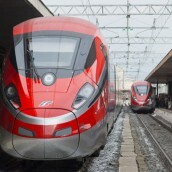 This is the third “Arrow” Trenitalia (FSI Group’s transport company) has shot from its bow to offer quality services in rail links between large and medium-sized cities. 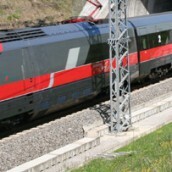 Unlike the Frecciarossa and Frecciargento services, Frecciabianca trains circulate on standard lines, outside the high-speed network, covering a very important share of passenger transport on the country’s primary network. A market which is not yet saturated in Europe and is expanding significantly in the rest of the world. 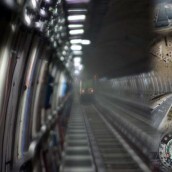 High-speed is running faster and faster on the tracks of technology and seeks to exceed the levels of performance and services offered by air travel. A market analysis supported by the words of an important international giant and a roundup of the most recent productions offered by the main players in this sector. This month we “Focus on” an important project in Mozambique (pp. 51-54): the building of the Nacala Corridor, which is very important for the economy of this African state. A 900-km railway for exporting coal from the Tete mining region is also important for Malawi, providing efficient access to the sea. Discovering a strategic area that deals with rolling stock engineering, cyclical maintenance and operating safety. Construction of the Brenner Base Tunnel is one of those epoch-making engineering works which by geopolitical and economic (not to mention technical) importance is reminiscent of the work to build the Alpine tunnels between the late 1800s and early 1900s. Dear readers, this month Railway Engineering dedicates its cover and the main article – Focus on (p. 42 ) to the first trip of “Mennea”, the brand-new Frecciarossa 1000 (ETR 400), inaugurated by the President of the Italian Republic, Sergio Mattarella, on the 25th April (a symbolic date for Italy, as it coincided with the 70th Anniversary of Liberation from Nazi-fascist dictatorship). 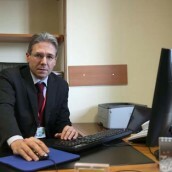 An attentive analysis of the situation of the FS Group in an informative in-depth interview with RFI CEO Maurizio Gentile. Mr Gentile, let’s give our readers a quick overview of RFI’s activity today, starting with the Act of Concession between the Italian government and the FS Group and the Programme Contract that governs relations regarding investments. Dear Readers, As you will have noticed on picking up your latest copy of Railway Engineering, something’s changed: in 2015, after five years of publishing, we’ve decided to turn the page and give the magazine a new graphic and editorial look. Starting with the masthead, “Railway Engineering”, which now has a more modern and crisp design which is easier to read and intuitive. Each day several million people rely on railway transport for moving from home to work, or from home to school. It is a service that has always represented, for every railway company, the most difficult challenge to face. Myanmar is one of the developing countries in Southeast Asia. As a result of isolation from the rest of the international community, due to a succession of military regimes (the first in 1962), the country’s economy and its infrastructures have not managed to grow as much as they needed to. Our appointment is in the new Ferno-Lonate railway station, on the Ferrovienord line that runs from Busto Arsizio to Milan-Malpensa Airport. Our guide on this visit to the first substation in Europe able to recover the electricity produced by trains powered at 3000 V cc while braking and use it for electrical services in the station itself is Mr. Marco Barra Caracciolo, engineer and the company’s managing director, accompanied by a small group of technicians. If it were dealing with art, it would have already made the newspaper headlines and a few mentions on TV. 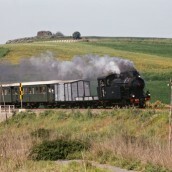 As it is, the Fondazione Ferrovie dello Stato Italiane (Italian FS Foundation) deals with the history of the Italian Railways, and the FS (State Railways) in particular, something which fails to fill the general public with much enthusiasm these days. 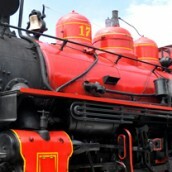 On 3 October of last year the Italian railways celebrated their 175th anniversary. 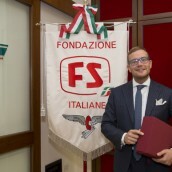 Not the Gruppo FSI, which was originally founded under the name “Amministrazione autonoma delle Ferrovie dello Stato” (Autonomous administration of the State Railways) on 1 July 1905, but the railway itself as a means of transport. Crossed by three Pan-European Corridors, the X, the Vb and the Vc, the Croatian Railways can play a major role for the economy of all the Balkan states. But the financial situation is hindering this much needed change in pace. 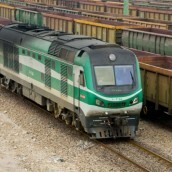 The Croatian Railways have a relatively brief history, having only been founded in October 1991, just a few months after the outbreak of the war of independence, often referred to as the Homeland War (Domovinski rat), which began that same year, on 25 June, against the Yugoslav People’s Army. Six hundred kilometres of track serving public transport and the Trenino Verde rail tourism service. Today ARST, the Azienda Regionale Sarda Trasporti (Sardinian Regional Transport Company), runs almost all of the island’s public transport system: rail transport (having incorporated the secondary narrow gauge network of the Ferrovie della Sardegna – Railways of Sardinia), urban and suburban road transport as well as the two fast tramway systems (in Cagliari and Sassari) which we talked about in detail in issue no. 27 of Railway Engineering. Less than two months ago we all met up in Berlin for InnoTrans – the aim was to get an idea as to what the future holds for rail transport and its industrial supply chain. As always InnoTrans (this year at its tenth edition) proved to be an intense occasion, packed with events, the latest developments and discussions. 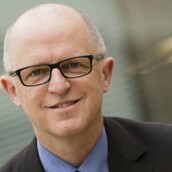 The overall summary which we can make is that the sector is very much alive, full of prospects and that all over the world the railways are increasingly more at the centre of transport policies thanks to their higher level of environmental sustainability and their capacity to untangle the problem of mobility in large urban areas which are becoming more and more densely populated. 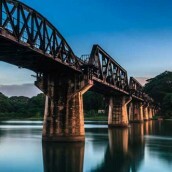 The rolling stock and infrastructure market, according to analysts, is destined to grow at a rate of 2.7% between 2017 – 2019 with higher percentages of growth in Asia and North America. Technological innovation will have a fundamental role in this growth: the trains and railway lines of today and tomorrow will be very different from those of just 20 years ago. Exploring the organizational structure of the Maintenance and Operations Department for Lazio which supervises a strategic area of the national rail network. 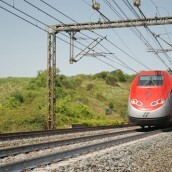 Rome and Lazio represent one of the most strategic areas of the national rail network. In fact the main national connections on the north-south main line all head for the capital, for both historical-political reasons as well as due to the geographical layout of the country. The first contract abroad, in Lima, Peru, then one assignment after another, until Oman, Turkey, Qatar and Saudi Arabia today. 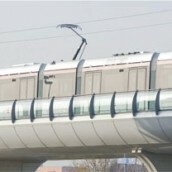 And in Italy, after the high-speed railway, the works management of Expo 2015 in Milan. 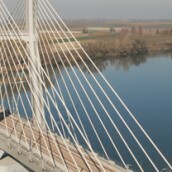 Italferr was founded in 1984 to operate chiefly abroad, but from the mid-90s onwards it started following the most prestigious projects in Italy of the then Ente Ferrovie dello Stato, linking its name to the creation of the High Speed/High Capacity rail network that has revolutionised the country’s rail transport. 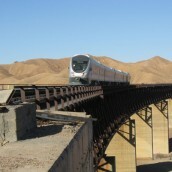 The first contract outside of Italy dates to 1987 in Peru and concerned the planning of the metropolitan network of Lima. In thirty years of history, Italferr has been awarded public and private contracts from over 60 countries, and is considered one of the most authoritative railway engineering companies in the world. The economic results of Italferr have always been excellent too, distinguished by their plus sign, and today the company has an annual turnover of around 150 million euros and profits of around 10 million. CEO Matteo Triglia gives us a summary of the last three decades and launches challenges for the future. A success story covering three decades and destined to last for many years to come, Italferr is proof that competence and professionalism, together with inventiveness and the ability to dare, always looking beyond the limits of usual activities, are values which can make a company a reference point for the world. If the Italian high-speed network is held to be a world-class achievement, this is partly due to Italferr, thanks to whom in this sector there is now an industrial supply chain which obtains work orders all over the world. A piece of “Made in Italy” we can truly be proud of. We met up with Italferr’s CEO, Matteo Triglia, who gave us a summary of the last thirty years and told us about future aims. All eyes were on Trenitalia’ s ETR 1000, but the Trade Fair amazed visitors with over 140 world firsts Ten is the number for InnoTrans 2014. Ten is the number of editions held, ten out of ten is the well-deserved score earned by this year’s trade fair which, between 23 – 26 September, brought rail sector operators from all over the world to Berlin. Before discussing market trends and the main innovations shown at the German exhibition, let’s take a look at some of this year’s figures. 2,758 exhibitors from 55 different countries, 61% of which from outside Germany, confirms the international vocation of this Trade Fair. Also the profile of professional visitors was a very global one, with 138,872 visitors from over 100 countries. When we think of Africa, we envisage savannah, lions and gazelles. But the aim of our tour of Uganda was not to explore one of its ten magnificent natural parks, (which also protect the famous mountain gorillas) but to embark upon an unusual “safari” in quest of news on the future of the railway of this country and its bordering nations. So, notebooks to hand, we recorded an extremely interesting situation. In Piedmont, in the years leading up to and immediately following the unification of Italy, it was decided to build a railway network, one which still today, over 150 years later, is still vital for the traffic of the whole country. 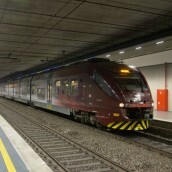 The connection with Genoa and its port, built from the start as a double track line, overcame huge obstacles for those times and dates from 1854; the Fréjus rail tunnel that connects Italy and France was inaugurated in 1871, while the Simplon tunnel between Domodossola and Brig, Switzerland, wasn’t completed until 1906. 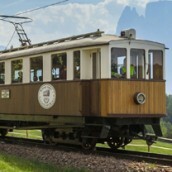 The Alpine railways are renowned throughout the world for their beauty and the technical audacity of their routes. 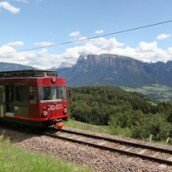 The most famous are undoubtedly inSwitzerlandandAustria, butItalyalso boasts some truly delightful little railways. This is the case of the Renon Railway which runs for approx. 7 km on the plateau of the same name, above the city ofBolzano. We are in the far north ofItaly, in South Tyrol, eighty-odd kilometres fromAustria, along the valley covered by the Brenner international railway which linksVeronawithInnsbruck. 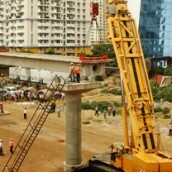 Having a modern and functional infrastructure is a fundamental condition for the development of any economy. And this is something the Ugandan Government knows well; under the leadership of its President, Yoweri Kaguta Museveni, it has placed infrastructures at the centre of its National Development Plan 2012/11 – 2014/15 and the country’s development programme, fittingly called Uganda Vision 2040. 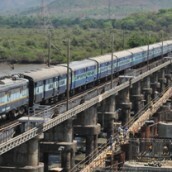 The railways are one of the most important chapters in this development programme. Mal d’Afrique has struck the staff at Railway Engineering too. And anyone who knows anything at all about this fascinating and contradictory continent, with its undoubted potential for growth and immense development, will understand that it could not have been otherwise. We decided to make an analysis, partial of course, of the numerous railway projects involving West Africa. 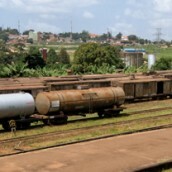 An interesting situation emerges, and a backdrop that shows how this portion of Africa might, in years to come, become one of the most interesting areas in the world for the development of new rail networks. What also emerges is the desire of many countries in the area to develop rail transport, not as an essentially national infrastructure but as a network at a regional level at least, designed to support and develop the economy. From the Frecciarossa high-speed trains to the Treno Natura tourist service which runs through the Crete Senesi: the railway network inTuscany, totalling 1479 km of lines and 2271 km of track, has some incredibly multi-faceted characteristics. The main lines, of which the Milan – Rome high-speed arterial route is obviously the most important, cover 767 km, while the secondary lines, including the ones running through the Siena area, used not only for providing regional services but also by tourist trains drawn by magnificent steam engines, add a further 665 km to the network. Notwithstanding all the economic – and often political/social – difficulties of the continent, the rail market in Africa is one of the most promising for the near future. 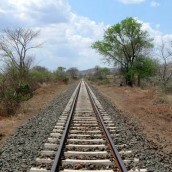 Many plans are afoot for the construction of new railway lines designed according to modern standards, while the railways already existing are being laboriously upgraded, developing the old lines inherited from the colonial era, by improving the tracks and adding more recent rolling stock. 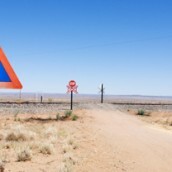 According to some recent research conducted by the German consultancy company SCI Verkehr, the overall extension of the network throughout the whole of Africa should increase from the 82,100 km of 2011, to approx. 96,300 km by 2017. 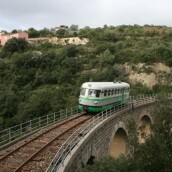 Sardinia has two tramway lines, created less than ten years ago and with characteristics that are in many ways innovative, making this an interesting example in integrated public transport management. 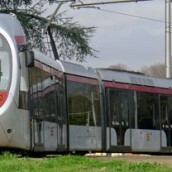 The two fast tramway systems operating in Cagliari and Sassari, for which further extension works are under way, serve two fairly small cities and show how railway systems, even in metropolitan contexts of this size, if planned intelligently, can be successful. Managing the whole of public transport for Sardinia today is the ARST, the Sardinian Regional Transport Company, which also deals with road transport, both exurban and urban, and also railway transport, since it includes the Ferrovie della Sardegna (FdS – Railways of Sardinia) narrow gauge secondary network. We have already talked about the many rail projects being developed in the Middle Eastin previous issues. This time we took a plane and flew toTehran, capital ofIran, to bring you news of a really interesting though little-known situation. 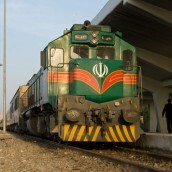 The Islamic Republic of Iran, despite the international political situation placing it at the centre of strained relations, is experiencing a period of great ferment and economic and social development in which the railways play a crucial part. 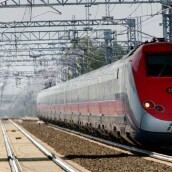 There are few hubs in Italy which are as important for rail traffic as Bologna. Practically all the lines from the large cities in the Po Valley Plain, from Milan to Verona, right over to Venice, meet up here before they proceed to cross the Apennine Ridge and continue towards the centre and south of Italy, to Florence, Rome and even further south, Naples. The Islamic Republic of Iran lies in a strategic position between the East and West: for centuries trade routes between Asia and Europe have gone through the country and intertwine with the lesser-known but equally important routes which provide access to the sea, mainly the Persian gulf, for those regions to the north of the Caspian Sea. It is therefore no coincidence that this land, once known as Persia, is considered the cradle of civilization and that today, after the turbulent events of recent decades, it is once again becoming a crossroads of crucial importance. It is no coincidence that Tehranhas been chosen as the location for the UIC Middle East Regional Office. The Islamic Republic of Iran plays a key role in transport services for the whole region and in the coming years is set to become the area’s real hub for both north-south and east-west traffic. 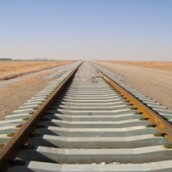 But all UIC member countries in this region (not just Iranbut also Iraq, Jordan, Qatar, Saudi Arabia, Syria, Turkeyand the United Arab Emirates) consider the development of a regional railway system, including the definition and realization of international traffic corridors, one of the main priorities for growth. Obviously, some of these projects are currently difficult to achieve, for example while Syriafails to establish internal stability, but overall it is only a matter of time. 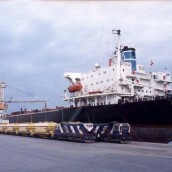 Bandar Abbas is not only the capital of the Hormozgan Province, but also Iran’s most important commercial port, not to mention that it is considered the headquarters of the main port gate of the Iranian Rail network. The chance to visit the rail and port infrastructures, accompanied by Mr. Pour Fakhri, Director-General of the Hormozgan Railway District of Iranian Railways, is a unique opportunity to get an authoritative and updated picture of the huge effort Iran is making to develop rail and sea transport, maximizing integration between the two. 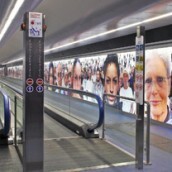 Not many cities in Italy or Europe have built themselves a metro system in recent years. Brescia, a medium-sized city, is without doubt an exemplary and extremely interesting case thanks to the solutions adopted (a medium-sized automatic light metro system) and for its unique vision of integration between the various methods of transport available, from bike sharing (16,000 people subscribed to the scheme in a city with 200,000 inhabitants) to studies on the use of tram-train systems to provide services in the hinterland. Just over a year since the metro was officially opened, the results, in terms of ridership and above all in new users who have switched over to public transport, are significant. We spoke to Marco Medeghini, engineer, General Manager of Brescia Mobilità and Metro Brescia S.r.l..
As it enters it’s fifth year of publication, Railway Engineering is bringing its readers’ attention to two excellent examples of how Italian know-how and Italy’s potential are bringing about increasingly closer relations between Italy and overseas countries. 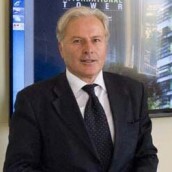 This is highlighted in the words of Matteo Triglia, Managing Director of Italferr, which illustrate how Italian railway engineering excellence, in all of its many facets, is admired and sought after overseas and how this can be a competitive advantage for all Italian companies operating in this sector. 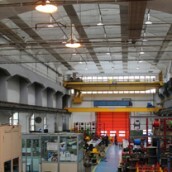 With five branches and two reference offices abroad, Italferr has for a number of years been orientated towards an international dimension where it has become a leading engineering company on the international stage. In recent months it has acquired some important work orders, especially inSaudi ArabiaandOman, strengthening its presence in Middle Eastern countries, an area where huge investments in the railway and metro system sector are expected to be made in the coming years. 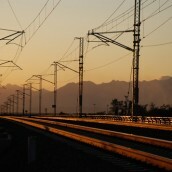 The Mexican rail network covers over 26,000 km: it belongs to the Mexican government which has franchised almost all of it to private rail companies. 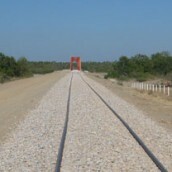 I say almost, because one important and unique exception is provided by the Ferrocarril del Istmo de Tehuantepec (the Isthmus of Tehuantepec Railway), measuring just 208 km, in the south of the country. It crossesMexico, from east to west, from the Atlantic to the Pacific, over the narrowest part of the country, in fact in the past the Isthmus of Tehuantepec was even considered an alternative link to thePanama Canal for traffic between the two Oceans. The Florentine Renaissance – of the tram! 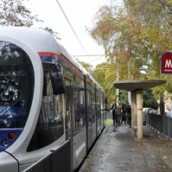 Fifty-two years after the last tram stopped in January 1958, a new, modern and efficient tram was put into service in Florence, on 14 February 2010. Half a century of continuous controversy and differences of opinion on how to develop public transport in one of the most beautiful cities in the world and its suburbs, only reached a decision in the mid-1990s to propose, not without some difficulty, a transport system undergoing a Renaissance all over Europe in medium-sized cities like the Tuscan capital. 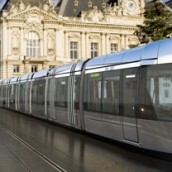 And the city which symbolizes the Italian Renaissance couldn’t not embrace the innovations and potential which the new tramway systems guarantee. 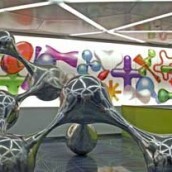 It’s all happening in Milan as preparations go ahead for the Universal Expo 2015. We at Railway Engineering wanted to focus our attention on this area, where the organization and management of transport systems needed for the large numbers of visitors expected from all over the world is going to be crucial. So we have set out upon a new season of interviews dedicated to the role of department head of the Italian rail junctions beginning with the Maintenance and Operations Department of the RFI (Italian Rail Network) in Milan. The density of the rail network in Lombardy is impressive and the variety of services guaranteed is without parallel in any other region of Italy. 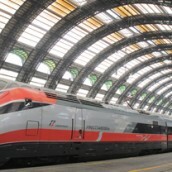 But few individuals, even amongst the employees themselves, are aware of the specific details concerning the complexity of running an infrastructure that is truly strategic, not just to northern Italy’s rail services but also on a national and international level. We met Umberto Lebruto, Head of the Maintenance and Operations Department in Milan, who genuinely surprised us when he outlined not just the competences and activities carried out by his department, but also the numerous investments that Rete Ferroviaria Italiana (Italian Rail Network) is or will soon be making in order to improve the efficiency of the infrastructure further still. 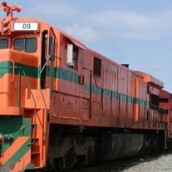 The railway undertaking of the Grupo Mexico provides 55% of rail freight transport on its own, with excellent financial results. 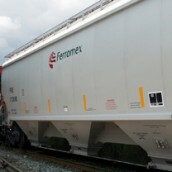 The percentage of goods carried by rail is on the rise Ferromex is the railway undertaking that has been awarded the concession for the largest part of the Mexican railway network. It manages more than 8,100 km of track and is also the company with the largest number of locomotives (as many as 597) and freight cars (over 14,000) in service. It links up some of the main cities in the north of the country, four ports on the Pacific and two on theAtlantic. It also reaches as many as five cities bordering with theUnited States. 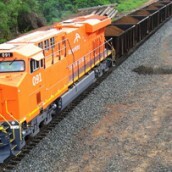 On its own, it transports 55% of rail freight inMexico. 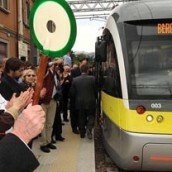 It entered the history books of Milanpublic transport when it built the city’s first metro line fifty years ago. And over time it has built up a solid name for itself as a reliable company with a high level of technical proficiencies which have given it an opening in the Italian and international market. Metropolitana Milanese is an example of a fully state-owned company which has understood how to succeed by focusing on professionalism, technical innovation and the ability to adapt its operations to meet clients’ needs. 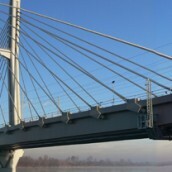 It operates in a field which is not very familiar to the general public (more interested in things such as the quality of trains and the transport services available) but its activity in the engineering and building stages of works is of fundamental importance in preparing an infrastructure which can then live up to expectations. If it is true, as has been maintained on many occasions by countless analysts, that Africa is the market of the future as regards the railway world, Railway Engineering cannot fail to let its readers know what is going on there. 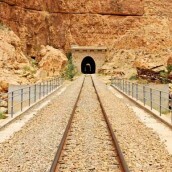 This time we travelled to the countries of North Africa, and in particular those looking onto theMediterraneanwhere, in spite of the political instability that has certainly slowed down the process, a policy of strong investment has been pursued over recent years to respond to the growing demand for rail transport. 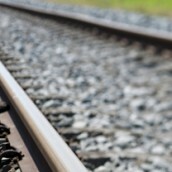 Innovation in the rail infrastructure sector is far from simple. Technical and safety restraints are extremely precise and are often accompanied by a “conservative” attitude which makes it difficult for innovative or non-conventional solutions to gain ground. 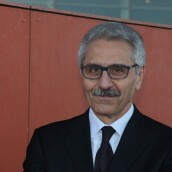 We spoke with the engineer Giancarlo Bono, author of university texts and design engineer of – among other things – the Italian slab track system, in cooperation with IPA of Calcinate (BG), now part of the WEGH Group. 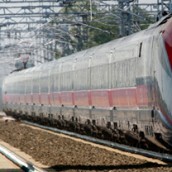 Numerous projects are under way both for freight and passenger lines, also high-speed ones. Urban networks are growing too, but realization of the works is suffering from the political instability that has been sweeping the area over the last couple of years. The fact that Africa is the market of the future for the railway sector, as many analysts have frequently maintained, is confirmed by the very recent mega-contract signed by Alstom in South Africa: 4 billion euros for 600 passenger trains to be delivered between 2015 and 2025. 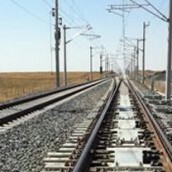 South Africa certainly has a railway infrastructure more similar to that of European countries than to that of most of the other African nations, but there is now a clear increase in interest and – where economic conditions allow – in investments. 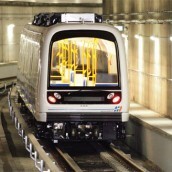 The company owned by Naples Municipality manages a heavy metropolitan railway, a light one and four funicular railways, and the network is still expanding. There is a very close relationship between Naples and the railway. It was here that, on 3 October 1839, the first railway in Italy, 7.5 km long from Naples to Portici, was opened. It is no surprise, then, that the city and its metropolitan area are served by a large number of railway and tramway lines as well as several funicular railways. All aboard! Destination southern Africa. 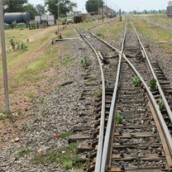 Africa today has a hotchpotch system of railways, with no less than five different gauges. Here many landlocked countries face huge problems when it comes to importing and exporting goods. Luckily, it would appear that this situation is destined to come to an end soon: in fact, over the last few years we have seen renewed interest in rail transport in a number of countries, in particular those lying in the southern part of the continent, such as Zambia, Malawi and Mozambique, not to mention South Africa of course, which has played an important role of catalyst and promoter in this far from easy task. Irreplaceable support not only in the development of new products but also for solving problems which may arise sooner or later. And someone to whom even lawyers and attorneys turn. Rolling stock manufacturers, infrastructure owners, not to mention rail undertakings and public rail transportation management companies, all need, for certain particular activities or situations, the support of external professionals who have a wealth of experience and skill. Professionals who often carry out this activity alongside their university teaching and research jobs. A market with enormous potential and many interesting projects. Stronger franchises than in the past and a policy which focuses on rail transport corridors between States are what is needed to revive the service. 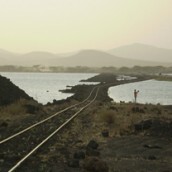 For decades Africa has been on the fringes of the world rail market. But for a few years now we have been witnessing an important reversal of trend which has made this continent, and certain of its geographical areas in particular, one of the world’s most dynamic and interesting markets. Managing Director Marco Barra Caracciolo, gives us an overview of the company. An insight into the infrastructure of one of the most important regional railways in Italy, looking at its history, important development works and innovative projects. Ferrovienord is the company of the FNM Group (the acronym for Ferrovie Nord Milano – North Milan Railways) which manages the infrastructure franchised out by the Lombardy Region, taking care of routine and extraordinary maintenance of the network, its development and the activation of new systems. It’s May and spring is way behind schedule: but on time as always, here’s the latest issue of Railway Engineering on your desk! We met with engineer Spartaco Lanni, a successful expert in the design of railway superstructures with a long career behind him working in the Ferrovie dello Stato Ferrovie dello Stato italiano Italiane. He gave us a detailed account of the benefits and applications of ballastless systems as an alternative to standard railway tracks. 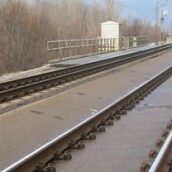 Slab track technology increasingly being used not only for tunnels and bridges The alternative to traditional track where ballast and sleepers guarantee route geometry is called slab track. This technology has been used increasingly more frequently in recent years thanks to the unquestionable advantages it offers. The rail sector is, by nature, quite tied to tradition and imagining abandoning a system like that of sleepers embedded in ballast—conceptually unchanged for over 150 years and, as a result, considered tried and true—is not easy. Civil works already underway along various sections Rail transport, both freight and passenger, is a mainstay of the Indian economy and daily life. The network, built over 150 years ago, reaches out into every corner of the country but is in need of radical reorganization if it is to sustain the tumultuous growth which has catapultedIndiainto the upper circles of the world’s economic powers. 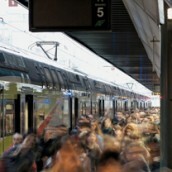 All over the world rail transport systems are spreading in cities and metropolitan areas, representing the only real solution to urban traffic congestion In 2025 at least 60% of the world’s population is expected to be living in densely populated urban areas. A phenomenon which is unlikely to see a reverse trend even beyond that date. The concentration of such a large part of the population in relatively restricted areas poses enormous problems of mobility. An example of what it means to move millions of people every day can already be seen in a number of megalopolis: take for example Mexico City and Los Angeles, but also Mumbai and Shangai. To mark the fourth anniversary of Railway Engineering, we decided to offer our readers something special: an issue dedicated entirely to the Italian High-Speed Rail System. 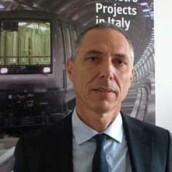 We have interviewed many of those connected with the great “High-speed Italian Metro” project, people committed to turning this major infrastructure project into reality. A system equipped with the highest technological standards currently available on the market and, according to The Financial Times, one of the best high-speed systems in the world. 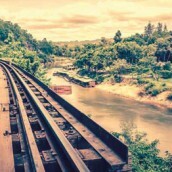 Brazilian railway: the first line dates back to 1854 but already in 1889 the rail network extended for 10,000 kilometres. The network is now divided into 12 concessions run by 5 private undertakings and two state-owned enterprises. It has already worked in over 50 countries throughout the world. 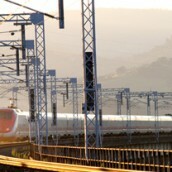 The experience of the Italian High Speed system and the upgrading of the conventional rail network with state-of-the-art technologies place it among the engineering élite. Training, diffusion, knowledge: in other words, all-round railway culture. What expertise do railway engineers have, what part do they play in the innovation which over the last few decades has radically transformed the railways all over the world? 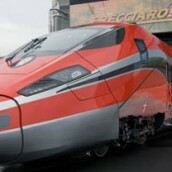 And furthermore, what is their role in the development of the Italian rail industry? With the start of the new year we continue our journey around the world and go toBrazil, a highly diversified country in a state of considerable development. 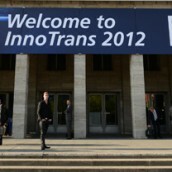 As the 2012 edition of Innotrans highlighted, the international railway market is in a continuous state of ferment. Brought to a close on 21 September, the top international trade fair for the rail sector sent out some very precise signals: an increase in the number of exhibiting companies and visitors, a more substantial presence and direct interest from Arab, Indian, Russian and South American delegations and no less than 104 world premiers of new products, all to the companies’ benefit, as you can read in the words of the top managers we interviewed for the Special section of our magazine. Over the last few years international activities have exceeded those in Italy. 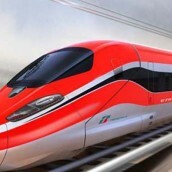 The company belonging to Gruppo FS (Italian State Railways Group) is the only one to have certified a high-speed line outside its own country: now, after its job in Turkey, it is certifying the Mecca – Medina high-speed rail link in Saudi Arabia. Over the last few years Italcertifer has evolved radically: from a body involved in testing and research within the Gruppo FS to a company operating on an international level in the sector dealing with Project Safety Verification and Validation Certification for public-sector contracting. The rigour and expertise which the company has always adopted when carrying out its activities have rapidly catapulted it to the top of the sector, allowing it to obtain highly prestigious work orders for example in Turkey, Saudi Arabia, the United Arabian Emirates, India and China. 2515 exhibitors, 104 world premieres, 144 Italian companies exhibiting. A great deal of focus on technology and sustainability. Managing directors of the leading companies operating in Italy have commentated on this edition for us and analyzed market trends. 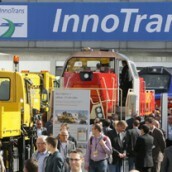 With 19% more visitors than in 2010, Innotrans (already at it’s ninth edition) reaffirmed itself as the world’s leading trade fair for the railway industry. The strategic vision of the new government. 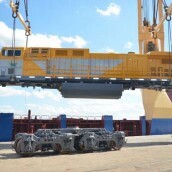 Among the objectives, the development of the Senegal River basin and the exploitation of the country’s mineral wealth. 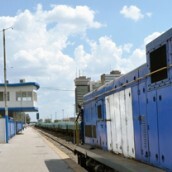 Rail transport in Senegal over the past twenty years has taken a progressive and dramatic downturn. The lack of public and private investment in the existing network, due to the concentration of all available resources on road transport, has had a dual effect. September’s issue of Railway Engineering takes you on a trip through time, from the development of projects for the new Ethiopian rail network to an example of Italian efficiency with La Ferroviaria Italiana, a fine example of a network which has gone from being a local network to a public transport holding. 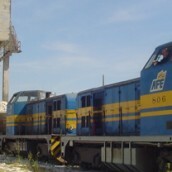 The Italian National Agency for Railway Safety (ANSF) plays a fundamental role on the Italian railway scene. 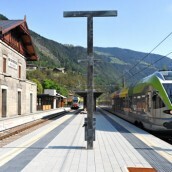 It is a completely new feature in that, until it was set up, its duties had been carried out ever since the birth of the national network, by Ferrovie dello Stato (Italian State Railways – FS) and more recently, with the separation of network managers and transport managers laid down by the new European regulations, by Rete Ferroviaria Italiana (Italian Railway Network – RFI). 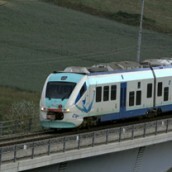 There is a railway company in Tuscany which has resisted all the cuts to regional railways over the past decades, which has changed its company structure and organization several times, but which has always continued to serve the populations of the two most characteristic valleys in the Arezzo area – the Casentino valley, north of Arezzo itself, towards Stia, and the Val di Chiana in the south-west towards Sinalunga and the hills of the Crete Senesi. 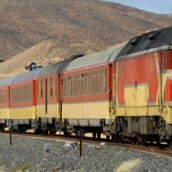 The Ethiopian Council of Ministers has given the Ethiopian Railways Corporation (ERC), established at the end of 2007, the task of developing and creating a national railway network and providing for freight and passenger transport services. The ERC’s aim is to develop a large capacity railway network integrated into Ethiopia’s overall transport system, to ensure a competitive, reliable service. We met Getachew Betru, CEO and General Manager of the Ethiopian Railways Corporation, who illustrated the policies of the Ethiopian government in the transport sector and updated us on the state of the construction project for the new national railway network. A summer of innovation with Railway Engineering! Three years after it was first published and having brought you more than fifty exclusive interviews from around the world (from Latin America to Africa, the Far East to Eastern Europe and Italy), Railway Engineering has set itself the ambitious target of venturing, once and for all, into the world of Web 2.0 and in so doing, get even closer to its readership. How the Superstructure Materials and Work Vehicles Operating Department functions. 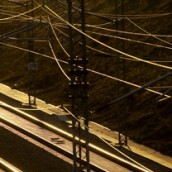 What does it mean, having to guarantee an infrastructure of over 16 thousand kilometres in length, such as the Italian Railway Network (RFI), for 365 days of the year? This includes the procurement of all materials, from ballast to switches, rails and sleepers, as well as all the technological products that are used for maintenance interventions and investment works. 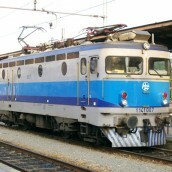 The privately held Apulian rail company playing a leading role in Foggia province transport services. 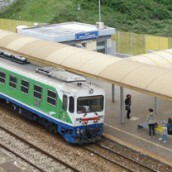 Ferrovie del Gargano (Gargano railways), with railways in the plural: in fact, the private company which since 1962 has held the concession to operate the 78 kilometres of railway line from San Severo to Peschici, has also been running the Lucera – Foggia line (19 km) since 14 July 2009 (also on a concession). This line was rebuilt after the Apulia Region farsightedly bought the railbed from the RFI (Rete Ferroviaria Italian- Italian Rail Network after it abandoned the railway. The South American countries show a growth trend and, despite the worldwide economic crisis, better than average economic development. Uruguay, but also Brazil and Argentina are countries in which foreign trade will increase significantly in the next few years. A necessary condition for this, however, is the availability of modern infrastructures: ports, airports, but above all adequate railway networks, especially for freight transport. 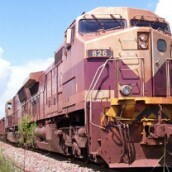 The historical rail company is involved in an extensive plan promoted by Rafael Correa Delgado’s government to revamp the network. 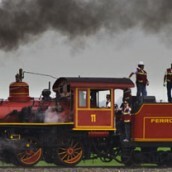 A group of intrigued secondary school students walk around a splendid steam locomotive and listen attentively to one of the railway workers who welcome visitors to the “Museo del Tren de Chimbacalle” (Chimbacalle Train Museum). It is a symbolic image of the new life which the Ecuador Railways embarked upon as of 1 April 2008 when the Instituto Nacional de Patrimonio Cultural (National Institute for Cultural Heritage) declared Ecuador’s rail network a “Monumento Civil y Patrimonio Histórico, Testimonial, Simbólico” (Testimonial, Symbolic, Civil and Historical Heritage Monument) and the process of revamping the railway system promoted by Rafael Correa Delgado’s government began. The Struttura Operativa Armamento ed Opere Civili (Civil Works and Superstructure Operating Department) has normative, directive, and inspection duties as well as the responsibility of monitoring activities. Organizing the maintenance of a rail network which is as large and complex as the one run by Rete Ferroviaria Italiana (Italian Rail Network) is an operation which is as intricate as it is fundamental in providing rail operations with a safe infrastructure which is always in the best possible condition, both in terms of regularity (which in the rail sector as in the aeronautic sector, preconditions any kind of activity) and in terms of productivity. Yet again we are about to amaze you with a high-level of interesting contents and great new things on the horizon. Our journey through Latin America continues with an in-depth report on Ecuador, a country where, under the leadership of Rafael Correa Delgado’s government, an incredibly ambitious project is underway to revitalize the railway network and turn it into a valuable tourist and cultural resource. 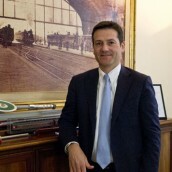 The Chairman, Matteo Colamussi, focuses strongly on the rail company’s new course of action. 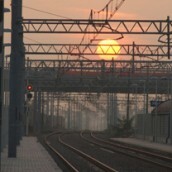 The Ferrovie Appulo Lucane (FAL) network stretches between Apulia and Basilicata, linking the cities of Bari, Matera and Potenza. 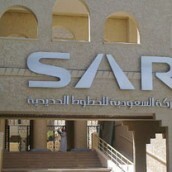 It is run by Ferrovie Appulo Lucane s.r.l. which, as well as providing rail services, also manages an extensive interurban bus network to complete and integrate a full range of services for the inhabitants of the two regions.